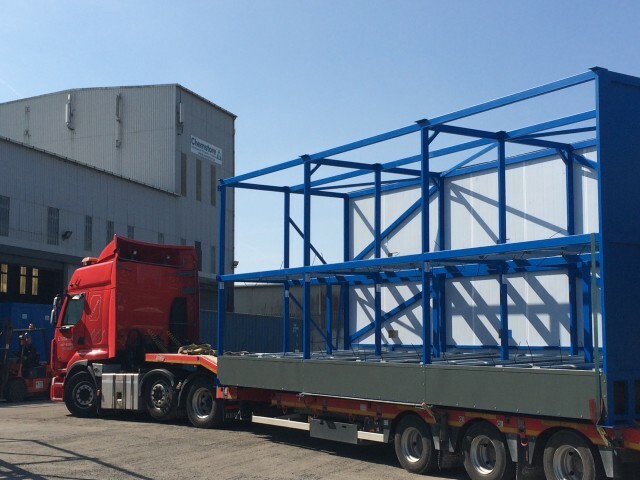 Another milestone project for Chemstore in 2015 was undertaken in Northern Ireland with a large multi national chemical processing organisation. 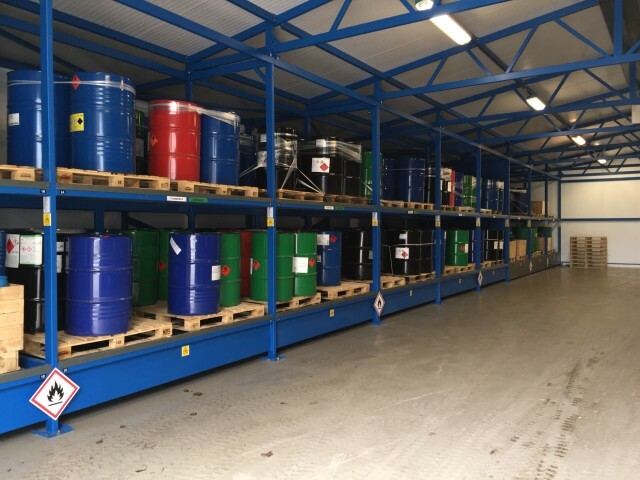 Chemstore were asked to provide a solution for the onsite storage of up to 384 drums of highly flammable and corrosive materials. 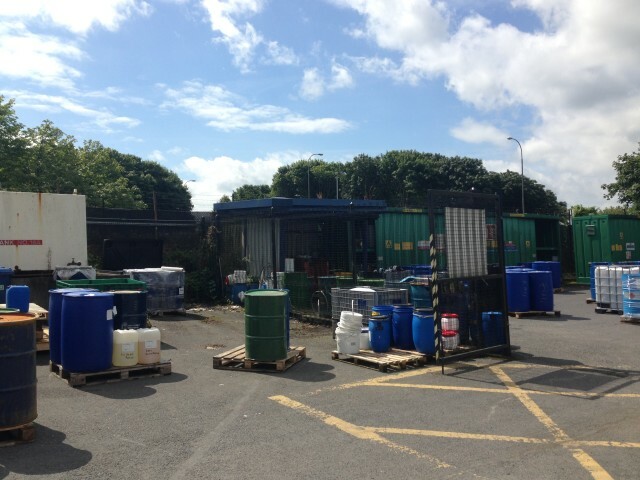 The product was being stored in 200 Litre drums throughout the site and was causing a massive environmental and fire hazard on site. The existing compound was exposed to harsh weather conditions and drums were scattered in a fenced area. A site visit was arranged by our technical engineer David O’Carroll to assess the site and ascertain the amount of storage required. The engineer developed a design layout to store 96 pallets on 2 Tier Racking with the push back racking system. The FireVault warehouse was to be clad in 100mm thick Fire-rated panels with intumescent ventilation Pyrogrilles fitted as standard at high and low levels to ensure good ventilation throughout. The FireVault was designed with segregated bunding to accommodate the different hazard classes being stored. 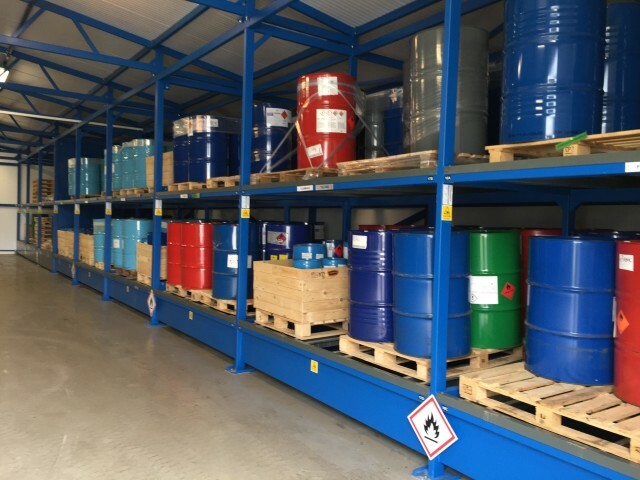 The flammable liquids are stored above 3mm reinforced non combustible steel bunds while the corrosives are stored above polyethylene corrosion resistant bunds. 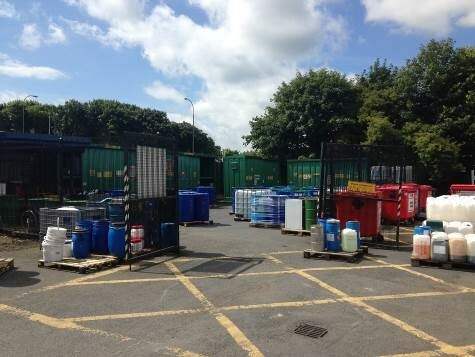 The Chemstore proposal included storage of up to 96 pallets (384 steel drums) stored on racking. The product is to be stored on 2 levels and in 2 rows either side of a central aisle. 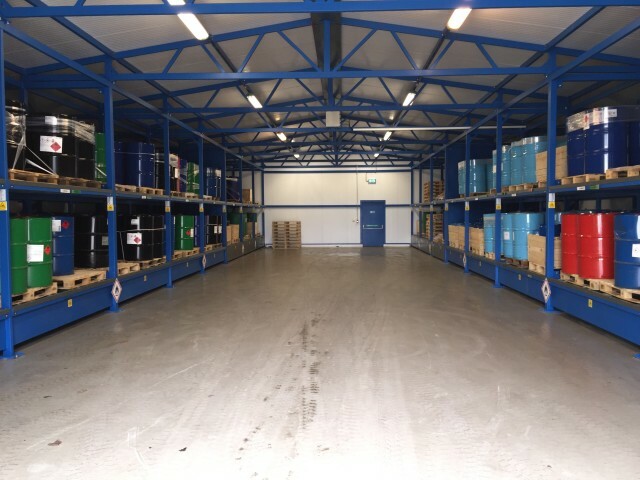 Access is granted to personnel and fork trucks via a full width opening at the front of the unit. 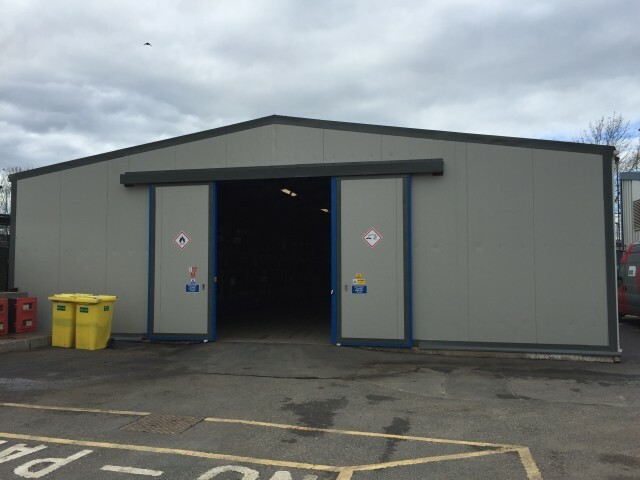 The entire unit offers a 90 minute fire rated barrier to the entire perimeter (excluding the doorway) using fully tested & certified panelling, seals and vents.